September 12, 2018 2:52 pm. Sydney sprinter Pierata will target the Group One Epsom Handicap after he runs at Randwick. Trainer Greg Hickman has ruled out pursuing a start in The Everest for Pierata who returns from a minor hiccup at Randwick. The four-year-old was tossed up as a possible contender for an Everest slot after he resumed with a strong win over Kementari in the Missile Stakes last month. 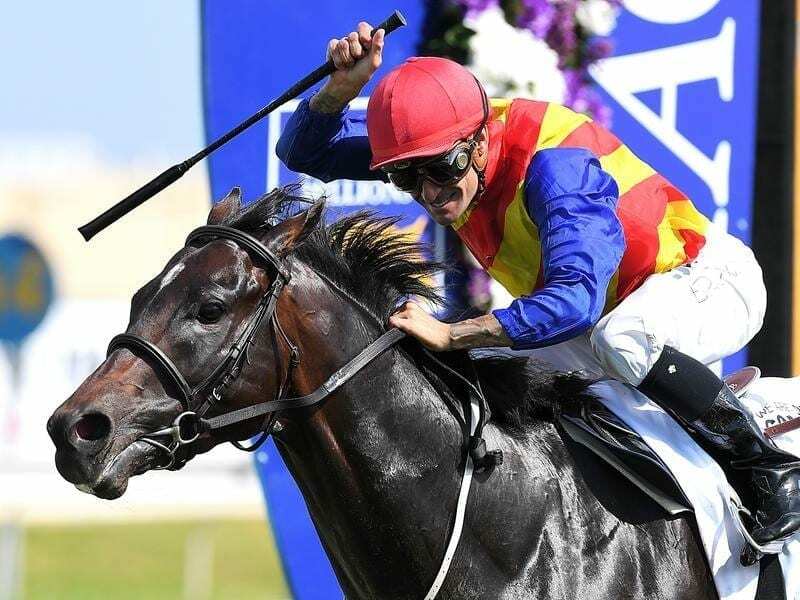 But after missing a scheduled start in the Tramway Stakes due to a leg infection, Pierata is being prepared for the Group One Epsom Handicap (1600m) and trainer Greg Hickman says The Everest is not on their radar. “It’d be a great race to be able to go into and I think it’s a great concept but I just think the horse isn’t seasoned enough yet to be able to handle those horses,” Hickman said. Despite his leg issue, Pierata hasn’t missed a beat at trackwork according to Hickman, who said the four-year-old galloped strongly on Tuesday in preparation for the Bill Ritchie Handicap (1400m). “He’ll be as good as we can have him,” Hickman said. “We would have liked to have that run under his belt but he worked good on Tuesday morning. He had a little bit of a blow and I’m glad I did the work I did with him. Pierata, who has 54kg in the Epsom, will be one of 10 Bill Ritchie runners along with Invictus Prince who will be out to prove his last-start second to Winx at Group One level was no fluke. The Matthew Smith-trained import will head to Randwick after being scratched from Friday’s Cameron Handicap at Newcastle where he drew wide.